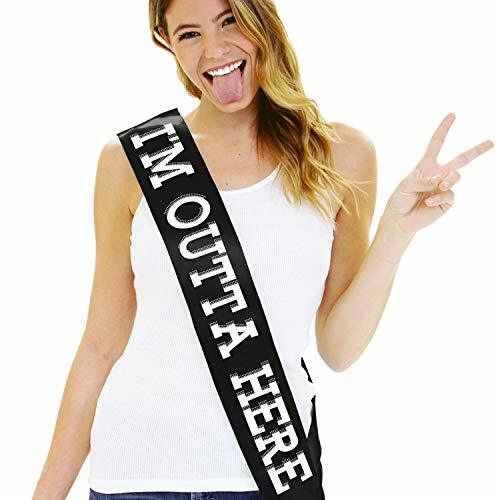 RETIRE IN-STYLE!A RhinestoneSash exclusive!- this sash says "I'm Outta Here!" 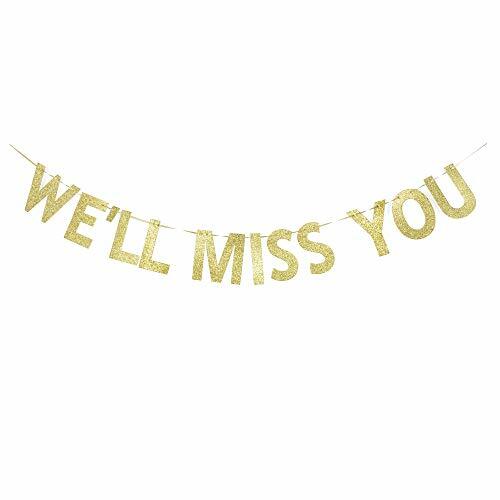 in white glitter clear crystal rhinestones.This sash is perfect for wearing to your going away or retirement party!I'm Outta Here! 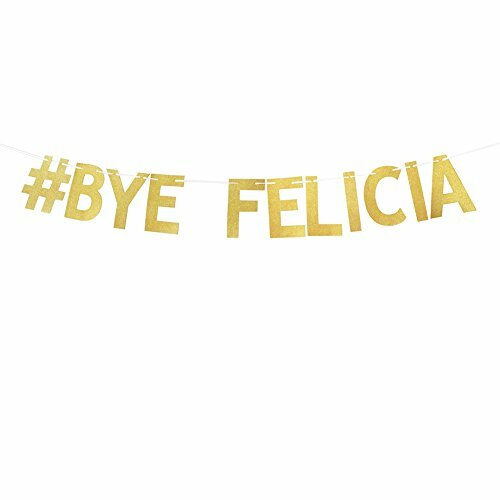 Sash Features: Color: Your choice of Black, White, Blue, Red, Green, Magenta, or Purple Material: Premium Satin Sash Letters: White Glitter with Clear Rhinestones Size: One Size Fits Most Care: Spot Clean Click "ADD TO CART" now, this fun I'm Outta Here! sash is the perfect keepsake gift as you enter your retirement. 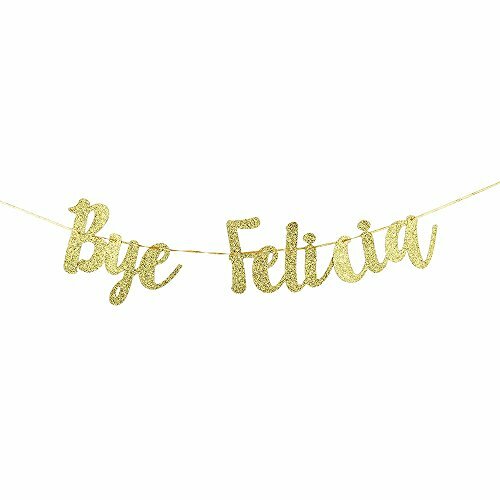 It must be cool to say goodbye with this classy BYE FELICIA balloon kit. 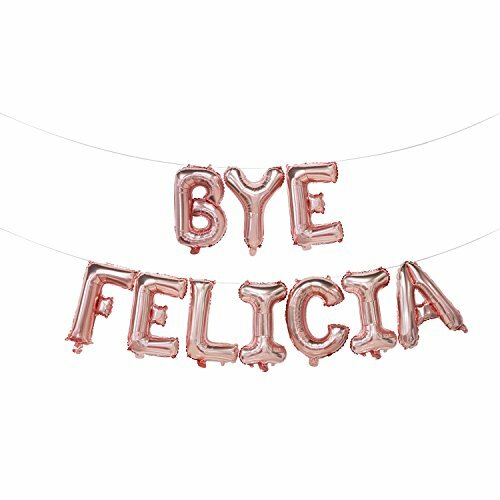 Package include 10pcs independent balloons spelling “BYE FELICIA”, 1pcs of straw and string of adequate length. 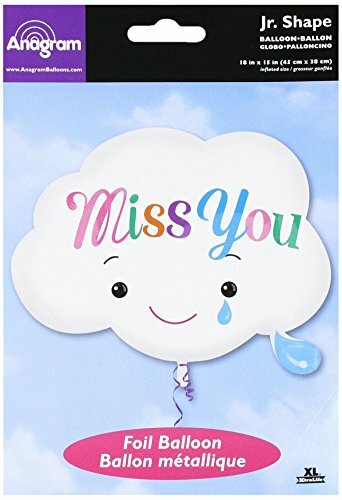 Use anywhere you like You can stick the balloons to the wall or door, or string them as a banner and hang it above the table or along the hallway. 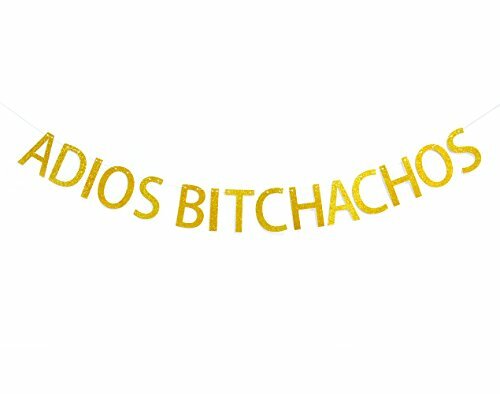 All up to you ! Note Do NOT over fill the balloons, or you may have it popped, just stop filling when the balloons turn hard on surface. Customer service We strive for 100% satisfied purchasing experience of every customer, if the product not meet your expectation, then your money back. Click “Add to Cart” button to buy it now ! 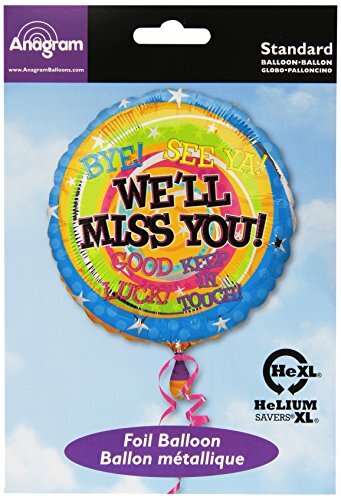 17" We'll Miss You HeXL foil balloon.Up to 20% helium savings per fill. Size: 16" W x 16" Lx 16\"